​A big thank you to David Vinarub for spearheading our kitchen remodel. He has worked tirelessly to get our kitchen renovated. 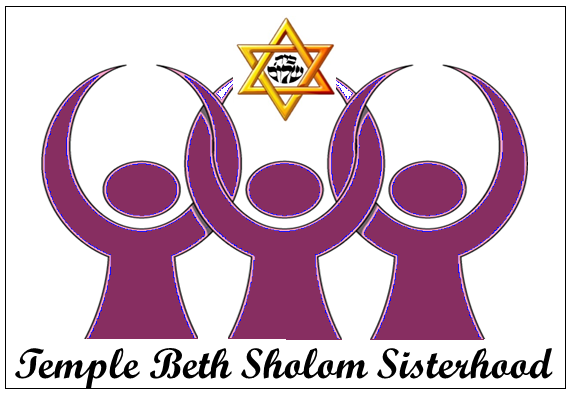 · Join us for our next Sisterhood meeting on February 11, 2019 at 5:30 pm in the Temple Beth Sholom lobby. All are welcome and encouraged to attend. · Sisterhood has been busy with remodeling the kitchen. So mark your calendars and be sure to attend the Kitchen Shower on March 3, 2019 from 10 am - 12:00 pm. In lieu of gifts for the kitchen shower, we are encouraging donations. We still have many items that are needed and many kitchen items that need replacement. Sisterhood also provides catering for celebration onegs and Kiddush luncheons. We can create a delicious and festive meal for your event. Check out our menu and catering contract. Have questions? Email us! The TBS Men's Club is an active and vital part of our congregation. Events are fun, stimulating and fulfilling for Jewish men of all ages and backgrounds. Men's Club membership strengthens involvement of members of TBS, promotes knowledge of and appreciation of Jewish life, encourages social and cultural activities, and develops leaders for the Temple and the Jewish community. The Men's Club also raises funds for TBS and helps with worthy causes throughout the year. To get involved, email Eric Perlman, Men's Club President.